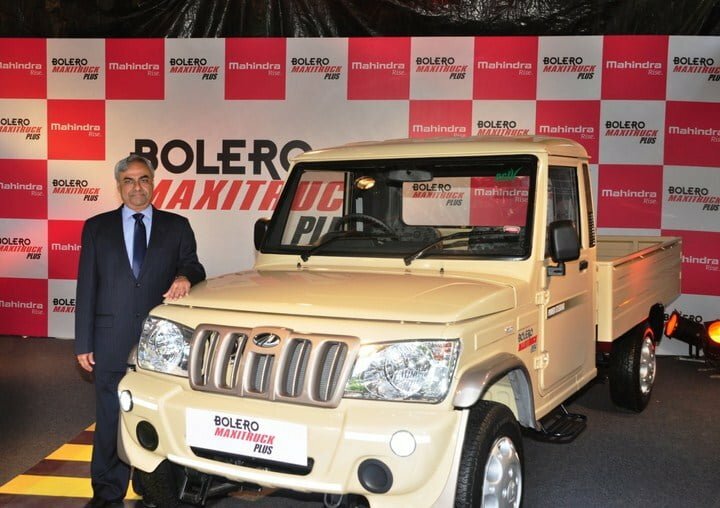 India’s largest utility maker Mahindra and Mahindra has made a new entry the ‘ Bolero Maxi Truck Plus’. The truck has been priced at Rs.4.3 lakhs. The challenges in urban areas are tougher than urban areas. Considering this we can say that Mahindra’s Bolero Maxi truck plus is such a product that can easily deal with Rural and urban situation easily. The company has designed the vehicle in such a way so that it can easily cater the heavy traffic, challenging narrow paths and lanes and number of flyovers but still it will provide a good mileage. Mahindra always focuses on consumer development and thus the pickup is designed in order to make the consumer relation better. Some of the features of the truck are higher load carrying capacity and enhanced safety measures. The front fascia of the vehicle provides safety in thick traffic conditions. The power steering option, with an added feature of low turning radius makes the truck to move at ease in the challenging narrow paths and lanes of the busy city. The vehicle comes with an anti theft feature which is the digital Immobilizer. The interiors of the truck make it a perfect fit and an Ideal stylish vehicle for rural and urban uses. Mahindra always find new ways to attract consumers and try to gain consumer confidence. This is one of the reasons that Mahindra is among one of the first choices when comes to utility vehicle purchase. The company officials are very happy to see the consecutive growth of the Indian pickup market. The company says that they are the largest and leading in providing these sorts of utility vehicles. Mahindra provides at around 2, 3 and 5 GVW LC vehicles. The company has a grand share of 54% in this category. Mahindra always look forward for enhancing customer satisfaction as much as possible by them. The truck will be going to target against the rivals like Tata and Ashok Leyland. The truck houses a powerful engine which makes out 63 PS of maximum power.